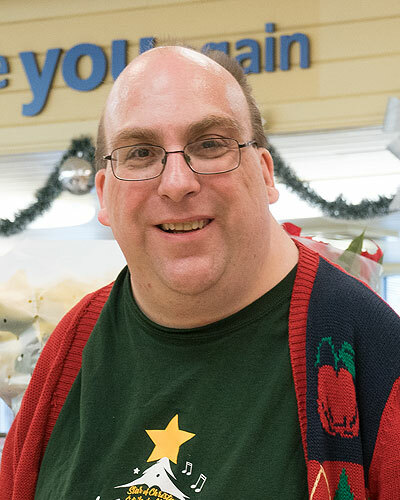 We are saddened to announce the sudden passing of Joshua Timmons, age 48 of Chéticamp which occurred on Sunday, December 16, 2018 in Sacred Heart Community Health Centre, Chéticamp. Born in Halifax on June 22, 1970 he was the son of Marie Germaine (Poirier) Timmons and the late Léo Timmons. Joshua was an employee of the Chéticamp Co-op working as a clerk. He loved working alongside his many co-workers. He was a dedicated fan of the Boston Bruins and also enjoyed watching boxing and wrestling matches on television. His family would like to thank Joshua’s co-workers who brought him so much joy over the years. He is survived by his mother, Germaine Timmons, Chéticamp; his god-parents, Cazilda and Edouard Larade; many aunts, uncles and cousins. There will be no visitations. Funeral mass will be celebrated on Wednesday, December 19, 2018 at 10:30 a.m. in Église St.-Pierre, Chéticamp with Father Peter LeBlanc officiating. Burial will follow in the parish cemetery. Funeral arrangements are under the direction of Cheticamp Funeral Services Ltd.
God bless Josh. I met him in 1990 in Prince Edward Island and he was one of my first friends during my course. We will be missed. Condolences to family and friends.